Florian Moreno is a former Grand Prix rider from France, where he trained and sold elite show jumping horses. He owned and operated his own sales barn, and eventually partnered with former Rolex World Ranking #1, Kevin Staut. 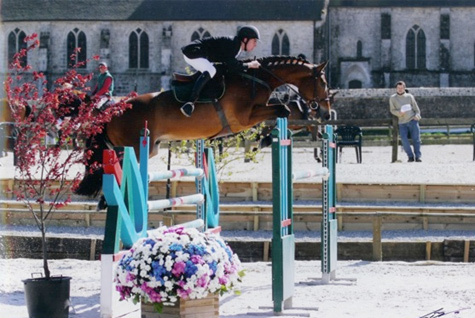 Florian discovered and developed many young horses for international competition, some of whom were later ridden by top riders such as Laura Kraut, Nick Skelton, Romain Duguet, Pius Schwizer, Cian O’Connor and many more. Several horses he sold went on to compete in the London Olympics, for three different countries – France, Brazil and Chile. Eventually, Florian sold his business in France and moved to California, where he met and married Ali Leopold Moreno. Florian spends most of his professional time in entrepreneurial ventures, but still maintains a presence at Ali’s barn, helping her clients in the purchasing process and advising in the area of sports management.